How sure are we that Russian Kettlebell - 44kg (97 lbs.) will work for you? 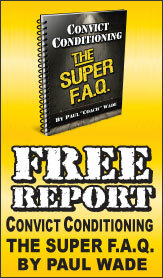 Simply fill out the form below and put Russian Kettlebell - 44kg (97 lbs.) to work for you right now. 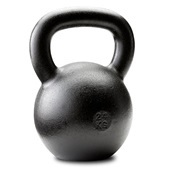 Obviously, we would go out of business if Russian Kettlebell - 44kg (97 lbs.) didn't work, the way we said, right? With the promise of a full refund if you're unsatisfied, you have nothing to lose by trying Russian Kettlebell - 44kg (97 lbs.). Go ahead and try it today. 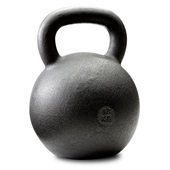 Dragon Door designed this 97lb cast iron kettlebell—for those men wishing to develop tremendous overall strength. Men: you will probably start with Dragon Door's specially designed 35lb kettlebell, and then move up to the 53lb kettlebell, which will become your staple. 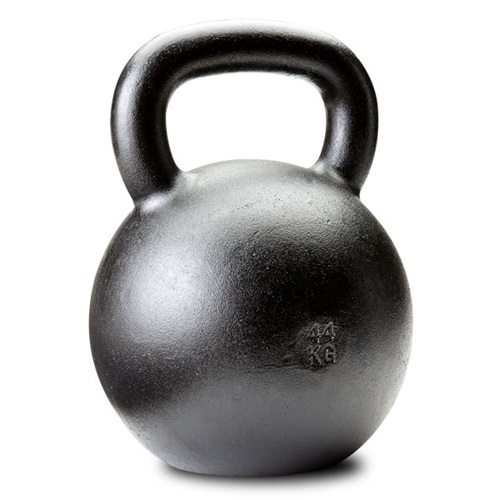 However, if you wish to move into the front ranks of physical excellence, make it your goal to incorporate 97lb kettlebells into your workout programs. Rated 10/10 Great Size for Power!